Offer 1: Have dinner, get a room for a tenner! With our famously extensive wide range of real ales, craft beers, organic wines and stunning artisan spirits, it’s no wonder that no-one wants to rush home after dinner at the Geese and Fountain. So while the evenings are dark and the nights are long, we’re offering a stunning upgrade offer to enable you to stay as long as you like for less than the cost of a taxi home. Book a table for two for dinner on any night of the week (yes, even including Fridays and Saturdays) and we’ll do you a room for the night for just £10. Yes, just ten pounds for a night’s stay in one of our comfortable double or twin rooms, subject to availability and pre-booking only. Breakfast is NOT INCLUDED in this offer, but you will be welcome to order breakfast from our regular breakfast menu if you want to. We love our B&B guests at the Geese and Fountain, so often it’s true that people arrive as customers but they leave as friends. We’d like to encourage you to spend a little more time here, so for the next three months, we’re offering a half price second night for any booking of a Saturday night B&B stay. So if you’re coming to attend a nearby wedding, or to visit Belvoir Castle or to watch the waterfowl at Rutland Water, why not make a weekend of things? Don’t just stop for one night and rush off again in the morning. Enjoy a great deal on a second night, and give yourself time to relax and unwind in the beautiful surroundings of the Vale of Belvoir. 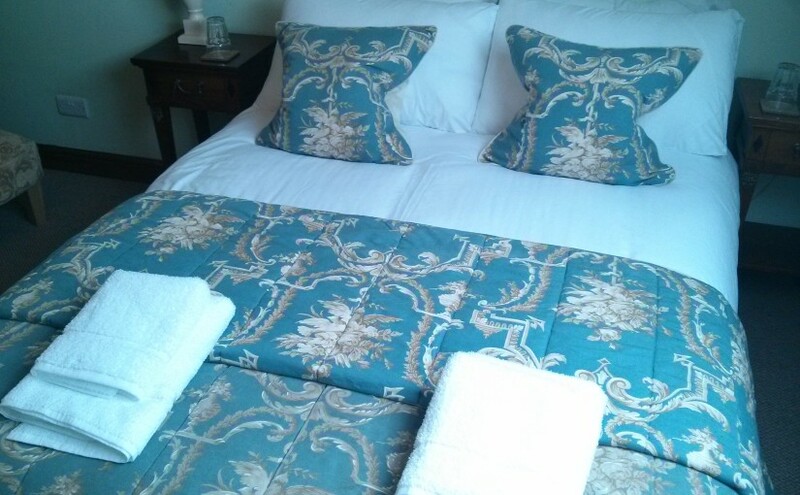 Offer applies to any single, double or twin room, subject to availability at the time of booking. Come for a full weekend, for any stay of 3 nights or more that includes a Saturday, and we will buy you dinner on your first night here to say ‘thank you’ for being our guests. Any dishes from the pub menus, including specials, can be ordered, up to a value of £30 per person. To qualify, mention this offer at the time of booking, and book the full B&B stay AND a table for dinner on your first night. We will then pay for your dinner, meaning you only have to pay for your drinks! This offer applies to bookings for solo travellers, couples and groups up to six people. So if you’re thinking of a night or a weekend away, and you’d like to take advantage of any of these offers, please email us or call 01476870350. Again, these offers are only available if you book with us direct, not through online travel agents such as booking.com or expedia. All these offers are available from January until the end of March 2019, subject to availability. First come, first served – so call us now to reserve your dates.